First, my deepest gratitude to all of you who took the time to read last week’s email, “Stop The Madness.” Hopefully, you also took the time to “pay it forward” by committing a random act of kindness for someone. Truth be told, all of us could use a little help now and again, and if it wasn’t for my friends, family, and most importantly, God, I don’t know where I’d be. There is a famous saying: “Go it alone.” All I can say is, it must have been penned by a very lonely person! We were created for community and healthy relationships; we need each other. At Wholetones, we are a relational family organization that shares a common passion to help people lead a positive, healthy lifestyle. In our DNA, every one of us possesses something specifically original, organically vital, to impart to the culture we were born into. Something you carry can positively impact another, who in turn carries something that can change your life as well. We make each other better! 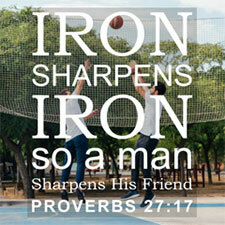 Proverbs 27:17 Iron sharpens iron, So one man sharpens another. I chose the title “With A Little Help From My Friends” for this week’s musing because friends are a rare and priceless commodity, not to be taken lightly. You see, a friend loves at all times, and is rarely inconvenienced by the needs of another friend. When I started Wholetones a few years ago, there were people who became friends along the journey. Today, there are many (including many of you reading this) who have selflessly supported me with prayers and emails of great encouragement, when it was needed the most … thank you! As you know, every Friday, I send out an email that lets you know about other products and supplements that my wife and I use and love. Many people ask me to send an email on their behalf. However, the only ones you ever see are from people I believe in who create things that I have personally tested and use every day (not to mention, I know who they are!). That’s how it should be done. So occasionally, I will mention a person or company that operates at the highest level of integrity. 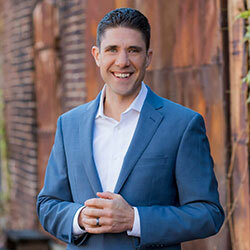 This week, I want to mention my good friend, Dr. Eric Zielinski, one of the foremost authorities on the healing properties of essential oils and clean living. His personal goal is to help people rid their lives of toxins, both in the products they ingest and in the environment they live in. I met Dr. Z at a conference in San Diego, and we have been friends ever since. Needless to say, I highly recommend that you check out his latest life-changing event, Toxic-Free Healthy Home Makeover. By removing silent killers from your family’s home, you can push back against some of the most dangerous diseases and conditions of our time. Dr. Z and his wonderful wife and partner in healing, Mamma Z, are sharing this information with you at no charge and you can check it out starting TOMORROW! But don’t wait. The free viewing is limited, so make sure to check it out starting tomorrow, October 3. Just go here to sign up. I think you'll really enjoy it! P.S. Speaking of helping friends, you have just a few hours left until our special “Pay it Forward” buy one, get one offer goes away! Don't miss your chance to get the original Wholetones: The Healing Frequency Music Project set for yourself...and a set for someone who needs a lift in their life. That's a $100 discount! This offer ends tonight at midnight Eastern time. I don't want you to miss out, so please CLICK HERE NOW to grab it while you still can.